Awesome. Glad you had had fun. We are taking my daughter to a show at the amphitheatre in July I hope it's as positive as this sounds like it was. Lindsey Buckingham and Christine McVie of Fleetwood Mac are performing there on July 5, with special guest The Wallflowers. I'm leaning toward attending. Good to hear you and your kid had fun, you've been talking about this concert for months so I'm glad to hear it lived up to you and your daughter's expectations. We are going to see muse with 30 seconds to Mars. 2 of my wife's favourites (i like them too but not quite so much) , Morgan has been force fed them for years so she's a fan too. That is a difference from your going to Chance the rapper. My wife decided to buy tickets and told Morgan afterwards. From what i remember your daughter asked to see Chance. so far Morgan has not asked to see anyone. Morgans first show also at the amphitheatre was Dave Matthews last year which she went to due to me getting back from a bike trip late. She's also been listening to DMB for years as they are also a favourite of my wife. Morgan loved it. The crowd will be pretty different as well I'm guessing. 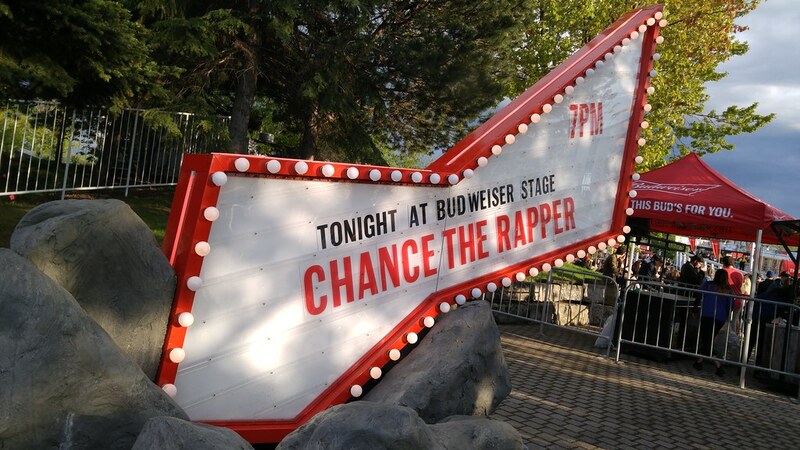 Oh yes, she came to me and asked me to buy us tickets to see Chance the Rapper. She wanted me to get tickets for her when he played Echo Beach a year or so ago but I failed. This time, I grabbed two lawns right away. My oldest son is also a huge CTR fan and I offered to give him my ticket but he passed. My gain! It's 2017, you don't need radio exposure or a label to be successful. I really like this venue even though I have only been there to see Hall and Oates. Also, I totally got tickets for under the roof just in case. I'm glad you had fun, and enjoyed it despite the rain. @Rob J - That July 5th combo sounds amazing. Don't know if I know enough of their stuff, but Fleetwood Mac has a song on the Guardians of the Galaxy 2 soundtrack (The Chain) and it is so beautiful. Before the Molson Amphitheatre is was called Ontario Place Forum. Saw a few concerts there & in the early 80's big names at that time played. Best of my set - Toto (in their heyday & placed was packed like sardines, but got in with a person who worked there & was sitting backstage). April Wine/Chilliwack, July 1st Tribute (many Cdn. bands) with a 4-5 hr concert. Howard Jones (not a fan but took my sister who was for her BDay). Then the sound was great under the roof, but on the grass resonated with delay. I saw my first concert at the Forum. Rotating stage. I wouldn't say the Amp was originally the Forum because it was a completely different venue. They bulldozed the Forum, after all. "The Chain" is amazing track (appears on the smash "Rumours" album from 1977)...Fun Fact: It's their only song ever where all 5 members have a writing credit. @ Rob remember Fleetwood Mac went through at least four incarnations. The constants being Mick Fleetwood and John McVie. The early blues version led by Peter Green started in 1968 and had the original version of Black Majic Woman. My favorite version of the group is when they included Danny Kirwan and Bob Welsh as members as heard on the album Bare Trees. Some exceptional guitarists went thru that group including Peter Green, Jeremy Spencer and Danny Kirwan. Lindsay Buckingham is also a great musician of course but with a different ( big) Mac. You're exactly right about the band's deep history and various incarnations, and I should have noted the pre-1975 lineups. When they toured in 2009, FM actually performed "Oh Well" with Lindsey taking the lead. I wonder if John, Mick, and Christine ever felt the pre Lindsey-Stevie era got short shrift when they toured from 175 to the presnt. Really amazing how they seamlessly went from folk-rock-blues to pop in the mid-70s. I wonder how their fans felt at the time and whether they remained loyal after a fairly sudden turn in sound. I've been fortunate to have seen Lindsey as a solo artist in concert many times. Extremely underrated as a guitarist and vocalist (IMO). I said four incarnations for FM but it was maybe 4 different era's and the membership changes were many. A group to be enjoyed for more than the big hits but Lindsay Buckingham is a great talent. Totally agree! Great convo, Sir. All the best. In other words, music I loved as a teenager. I was at that Pearl Jam show... 2003, right? Great venue, but especially if you're on the lawns under the stars.... even when it storms. @mrmojorisinca - lol I am not an old radio head. I do have tickets for New Kids with Paula Abdul and someone else for this month. Super tempted to ramp up my month before vacation with John Legend and Hall and Oates ! 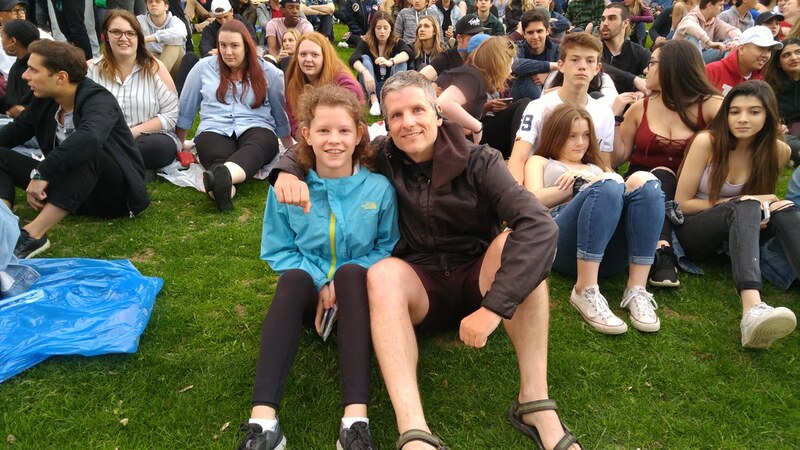 My daughter is almost 21 now and she goes to concerts including rap regularly. In fact the last one she went to was near Detroit this past weekend and it featured a rapper that had the name "Thug" in his title. My daughter told me that as they did not mention his name to the border guards who asked "who are you going to see" they elected to say the name of the opening act, fearing a delay by saying "Thug"
She is too old to want Dad to accompany her but I did go with her to a special show featuring Demi Lavato and the Jonas Bros ( maybe around 2007 ?) at Downsview. I think it was sponsored by the Family Channel and was some sort of secret that we got passes to. I know we had to go to a parking lot off site first and from there we got onto a bus to the stadium. They served a meal first in a big tent and then off to the concert and we both enjoyed it, my daughter more so of course. I think they may have been filming the concert for the Camp Rock sequel. I honestly don't think I've seen a bad show there. Ben Harper - had 18,000 (or what ever the capacity is there) in awe that night! Anyone going to u2 in June? @j I don't recall calling you an old radio head. @mrmojorisinca - oh my bad you're right - the comment wasn't for me haha i am not an old radio guy - being that i am womannnnn. U2 should be fun! I correspond with someone on Twitter regularly, and I always thought I was chatting with a dude. All I had was a name and I thought it was a guy's name. The other day I learned it was a woman! I find it interesting when you assume a gender of a regular commenter or Tweeter and you're wrong. Green Day opening for Blink 182 in about 2001/2002. Best show ever at the Amp.